EDISON, NJ — Choice Home Warranty is excited to announce the expansion of our New Jersey call center and corporate headquarters. Choice Home Warranty currently employs more than 100 employees in New Jersey, and is currently hiring new associates. In the new call center space, there is room to accommodate more than 150 employees. 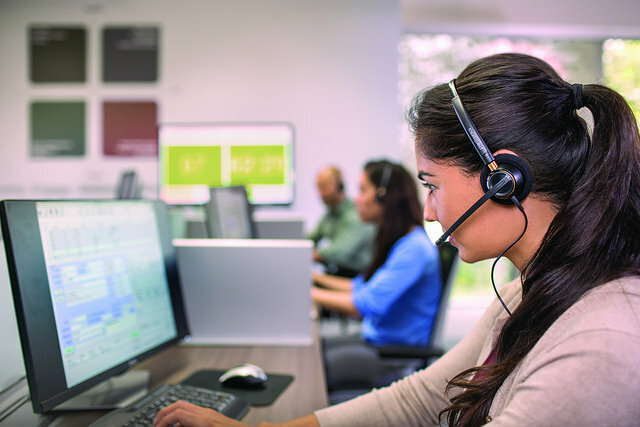 The new call center is expected to be full by mid-2015, growing customer service response capacity by more than 30%. Choice Home Warranty’s new call center will add new jobs to the Edison, New Jersey community, while also expanding the home warranty company’s customer service force. Employees in the call center respond to homeowner requests for service, scheduling contractor visits and resolving customer concerns. With an expanded call center, Choice Home Warranty is ready to serve home warranty customers better, faster, and with higher satisfaction ratings, improving on an already excellent track record of happy customers. As a leader in home warranty service contracts, Choice Home Warranty is proud to share an excellent Consumer Affairs rating and be recognized as a member of the Inc 5000. For more information about Choice Home Warranty’s call center expansion or career opportunities, please contact kelley@choicehomewarranty.com.